Photos from the Ecuador Optical Mission 2017.The optical mission went to the cities of Guayaquil and Cuenca. The Optical mission team helped four thousand people with eye exams and eyeglasses. Dean Thompson from Dats Photography donates one hundred percent of all sales to fund an upcoming Optical Mission to a developing country like Ecuador. 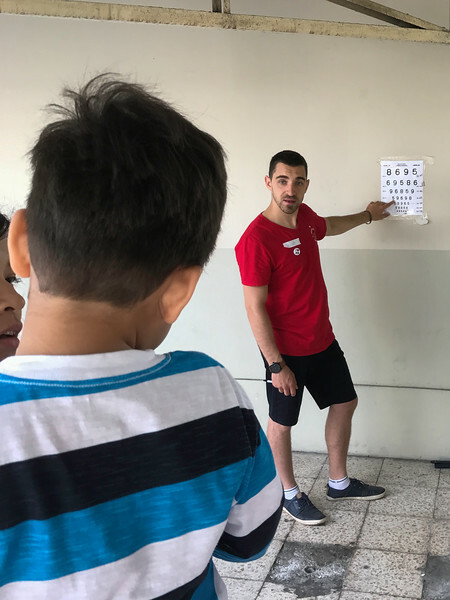 The Visual acuity test is the first stop in the eye exam process during an Optical Mission clinic.